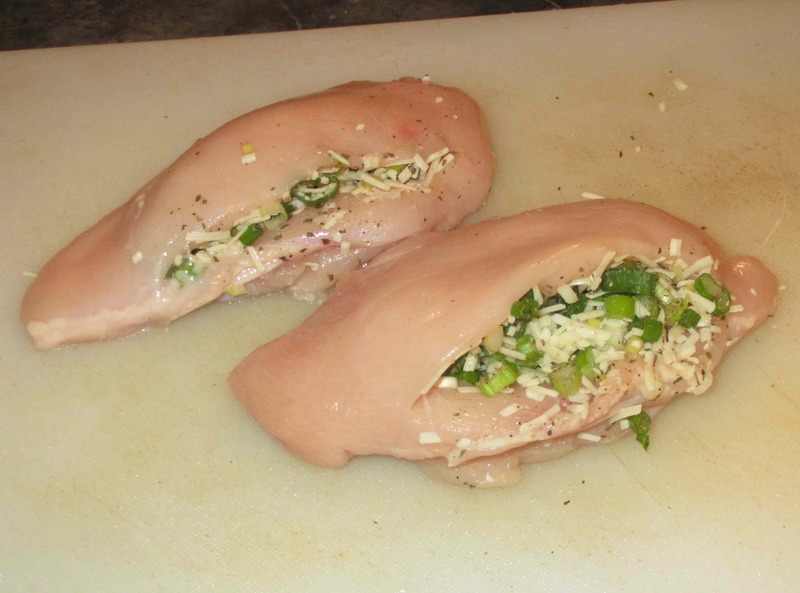 We are going to be stuffing the chicken breasts so you need to make an incision along one side of each, extending it almost the full length, to about three-quarters of the depth, in order to form pockets. 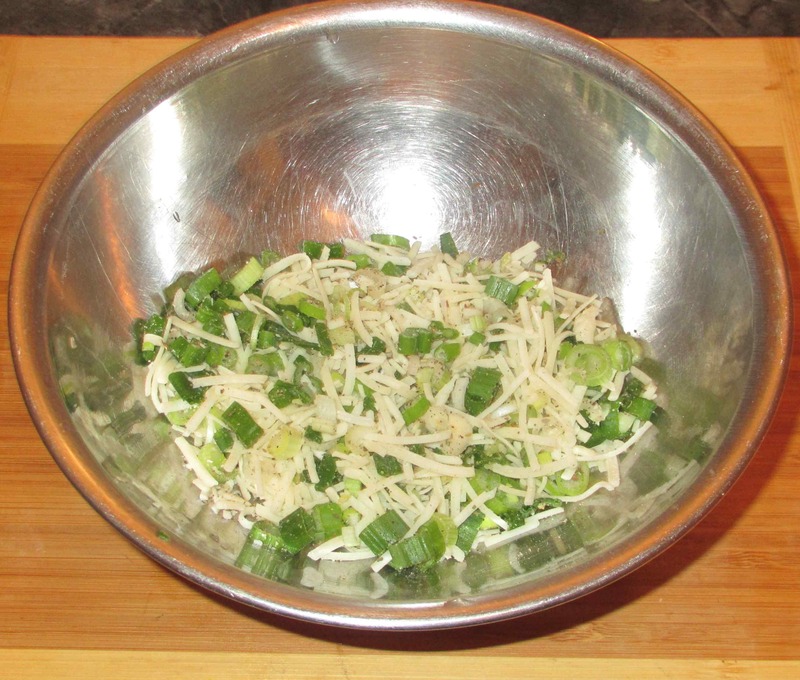 Now, stuff each pocket with one half of the cheese and scallion mixture and close the pocket. 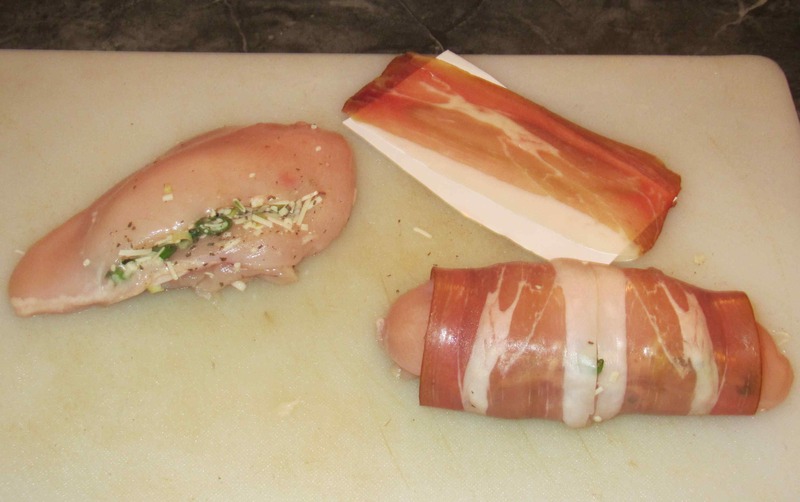 Wrap each breast with two slices of the Prosciutto, overlapping each slice on the underside. 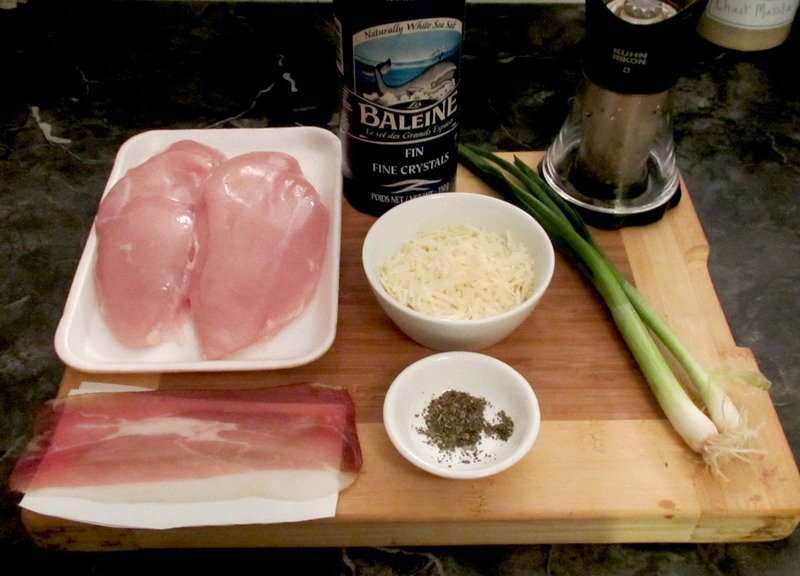 When you are ready to cook, preheat your oven to 350 degrees and place the breasts, prosciutto seam side down, in an oiled baking dish and bake for about 45 minutes. Allow to rest for 5 minutes or so and then serve, slicing the rolls if desired. Well.. my verdict is in.. it looks flavorful.. and not to difficult to get together. 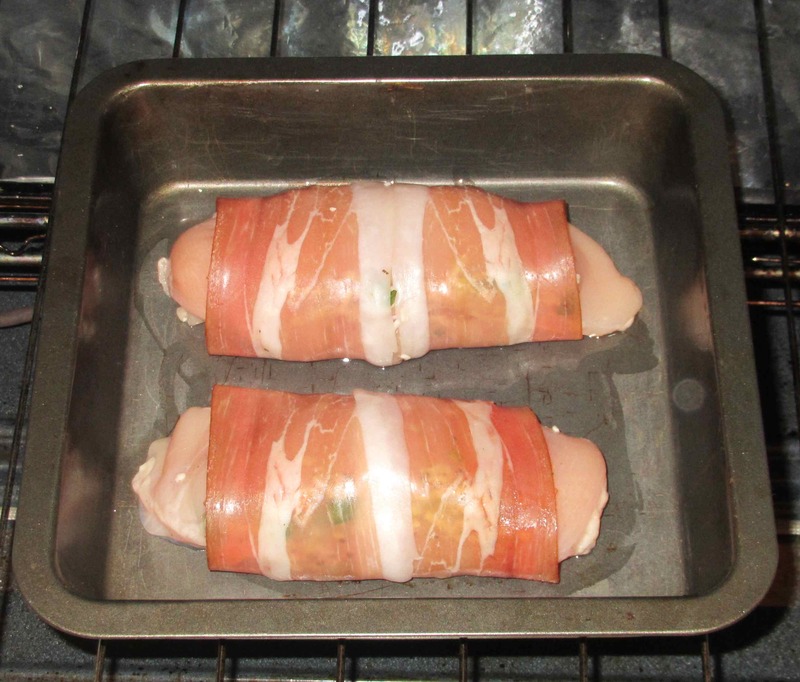 It must have been moist wrapped in proscuitto! No … just a little dry. 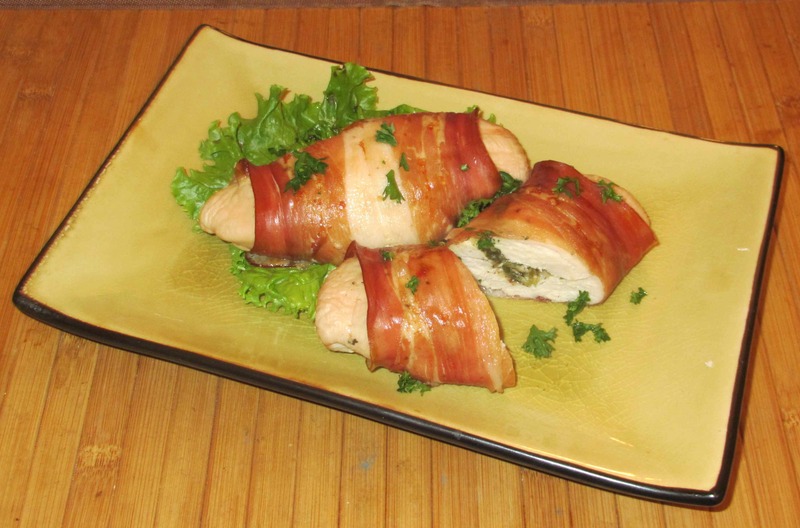 Not unpleasantly or anything, but a moister stuffing might have been better. Looks yummy…I’m in…pinning right now..thanks!